Joko Anwar, the hottest movie director in Indonesia, was slated to helm ‘Gundala The Movie’ , film in the press conference on April 04, 2018 on ‘Kosasih Day’ , the Father of Indonesian Comics. The movie production is partnership between Bumilangit Studios and Screenplay Films, in association with Legacy Pictures. VIRGO and the Sparklings is the first LINE WEBTOON x Bumilangit digital comic that features three superheroines created by three different authors : Jan Mintaraga, Nono GM and Wid NS. 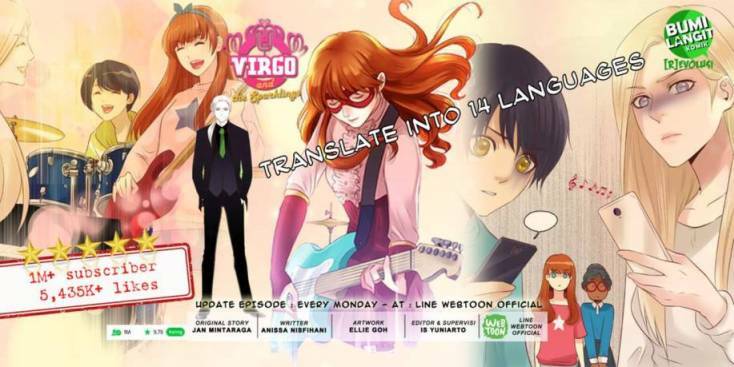 Fan-translated into six languages, Virgo and the Sparklings is among the top series in the digital platform in Indonesia. Gundala, Indonesian hero created by HASMI has gathered many loyal fans since the comic books were released beginning in 1969. In 2019, the hero will grace the big screen. Si Buta Dari Gua Hantu is the most famous martial arts character in Indonesia, with 500,000 copies of comic books sold, 8 movies and 21 mini series aired in national televisions. 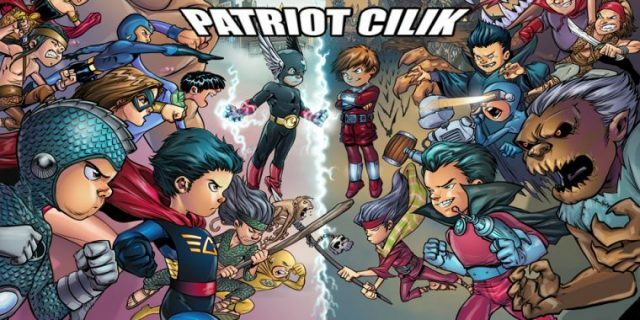 Sri Asih is the first Indonesian superhero, created by RA Kosasih, considered as the Father of Indonesian Comics. 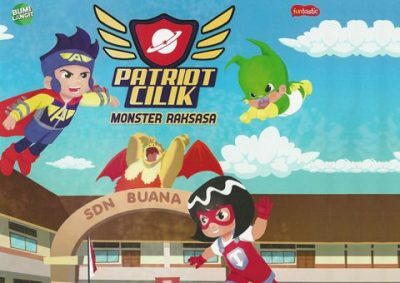 The first Sri Asih comics was published in 1954 and in the same year Sri Asih The Movie, the first superhero movie in Indonesia, was released. 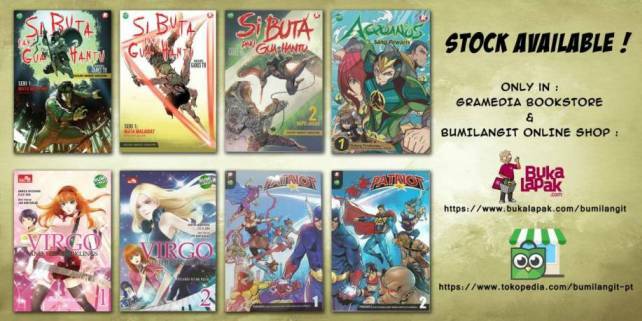 Bumilangit is currently producing new characters to further enrich its 500 plus characters library. 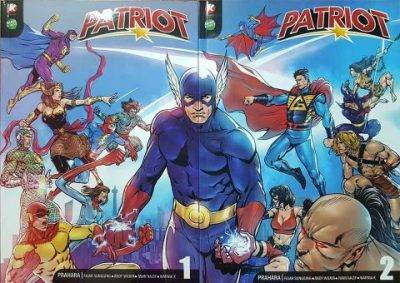 The variety of the characters consists of superheroes and martial art warriors types as well as manga and non-manga styles.